Since 1998, we have served experienced MBA graduates around the globe who join to view vetted opportunities and meet peers to advance and execute their business ideas and careers. Please join our community of 18,000+ MBAs and see how you can leverage our services and partnerships. We seek proactive members, especially members who step up to work with us, to participate in our member programs, and/or work with our clients. In sum, we provide a great platform and offer many different ways to take important steps to a more fulfilling career. We are especially focused on your entrepreneurial ideas and activities and how we can assist you. We look forward to working with you. Advance your existing business. MindForce, as our sister company, can form a business team to spearhead a new initiative for you. 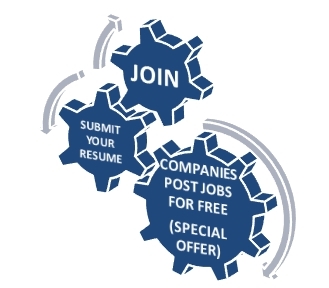 Member Benefit: Post free jobs @ MBAGlobalNet.com at no cost as a member throughout 2011 (limited offer). Jump start your venture. MindForce can work with you to assess, develop and promote your venture, create or strengthen your venture team, or find management team or advisors for your start-up. Do you know a start-up that needs capital or management/advisors? Do you know a company that wants to sell itself? Do you know a company that could be a beta client for one of our client business development programs? Do you know a job candidate for one of our job postings?